977.5 Eric Births, deaths, marriages and other genealogical gleanings from newspapers for Crawford, Vernon and Richland Counties, Wisconsin, 1873-1910. Erickson, Vernon D., comp. 977.6 HENNEPIN Hend Bloomington on the Minnesota: a project of the Bloomington Bicentennial Committee. Hendricks, Judith A., editor. 978.8 SAN JUAN Bird Bordellos of Blair Street: the story of Silverton, Colorado's notorious Red Light District. -- Revised edition. Bird, Allan G.
929.2 BOWMAN Way Bowmans: a pioneering family in Virginia, Kentucky and the Northwest Territory. Wayland, John W.
878.6 YELLOW Yell 1980s Brand book for Yellowstone, Big Horn and Musselshell Counties, State of Montana: livestock brands registered to January 1983. Yellowstone Cow Belles, ed. 973.2 Harg Bristol and America, a record of the first settlers in the colonies of North America, 1654-1685: including the names with places of origins of more than 10,000 servants to foreign plantations who sailed from the Port of Bristol to Virginia, Maryland, and other parts of the Atlantic coasts, and also to the West Indies from 1654 to 1685. Hargreaves-Mawdsley, R., N. Dermott Harding and Wm. Dodson Bowman. 973.52 Scott British aliens in the United States during the War of 1812. Scott, Kenneth, compiler. 942.1 Pear British lecture team syllabus: presented by Columbine Genealogical & Historical Society. Pearson, Ann Lisa, comp. 978.6 YELLOW Rue Broadview in review: 80 years along the buffalo trail. Rue, Betty L.
978.6 BROAD Broa Broadwater bygones: a history of Broadwater County. 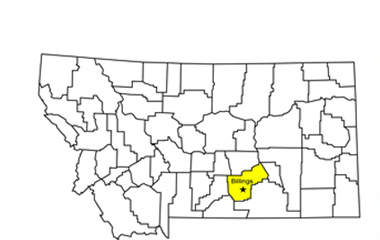 Broadwater County [Mont.] Historical Society. 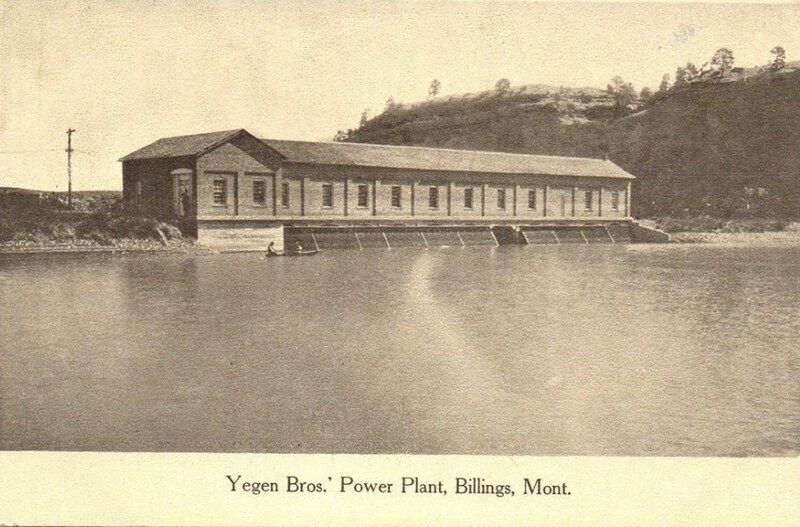 978.6 YELLOW Senior Bronc: Billings Senior High School yearbook. Billings Senior High School Yearbook Staff. 978.7 JOHNSON Buff Buffalo's first century. Buffalo's (Wyo,) Centennial Book Committee. 929.2 BULLA Genn Bulla family. Gennings, Robert A.; Ralph L.Bulla and Juanita J. Kesler. 941.5 Burke Burke's Irish family records. Burke's Peerage. 978.6 SILVER James Butte's memory book. James, Don with photos by C. Owen Smithers, Sr.
974.8 GREEN Cald Caldwell's illustrated historical centennial atlas of Green County, Pennsylvania, 1876. Caldwell, J. A. 979.6 Hart Camera eye on Idaho: pioneer photography 1863-1913. Hart, Arthur A. 978.7 CAMPBELL Camp Campbell country chronicles: the way we were. 971 Stew Canadian frontier: exciting stories from Canada's history. Stewart, Gordon, ed. 975.6 Parr Carolina quest. Parramore, Thomas C.
975.6 Kelly Carolina Scots: a historical and genealogical study of over 100 years of emigration. Kelly, Douglas F. with Caroline Switzer Kelly. 978.1 ALLEN Wint Cemeteries of Allen County, Kansas: except Highland and Mt. Hope. Winter, Lucile and Frances Hill, compilers. 977.7 SAC Iowa Cemeteries, Sac Township, Sac County, Iowa. Iowa Genealogical Society. 978.6 LEWIS Lowm Cemetery Island, Canyon Ferry Reservoir, between Helena and Townsend, Montana: burials from the now underwater town of Canyon Ferry, Montana. Lowman, Dorothy, comp. 978.6 YELLOW Quan Cemetery records from the vicinity of Shepherd, Montana. Quanbeck, Mirian, comp. 978.6 CARBON Yell Cemetery records of Carbon County, Montana. Yellowstone Geenalogy Forum.